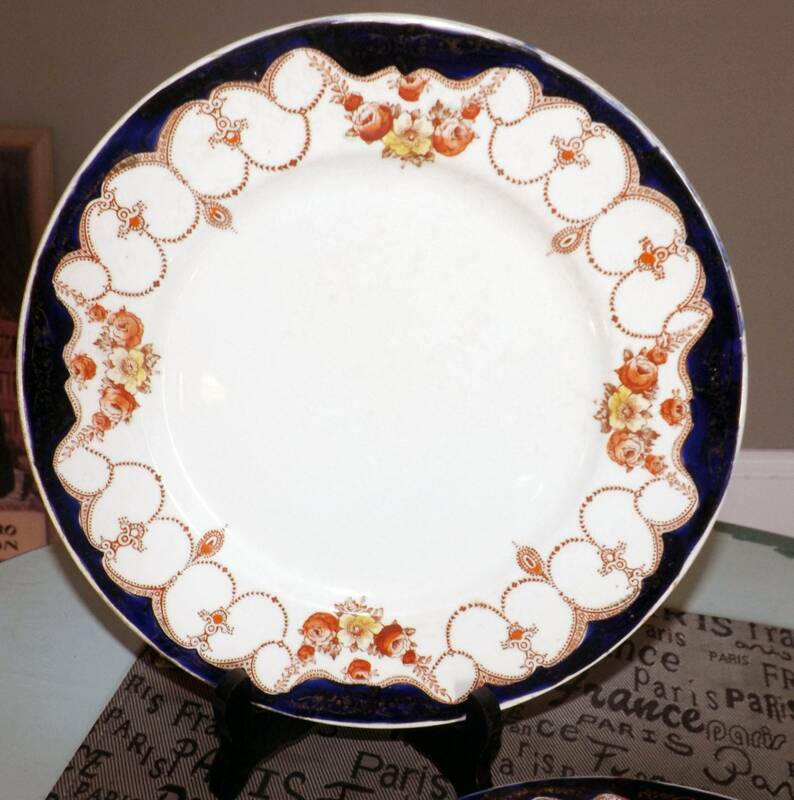 Pair of quite vintage (1930s) Myott & Sons | Myott Rosemary Smooth pattern 7837 dinner plates. Cobalt and gold with urns, swags and florals. 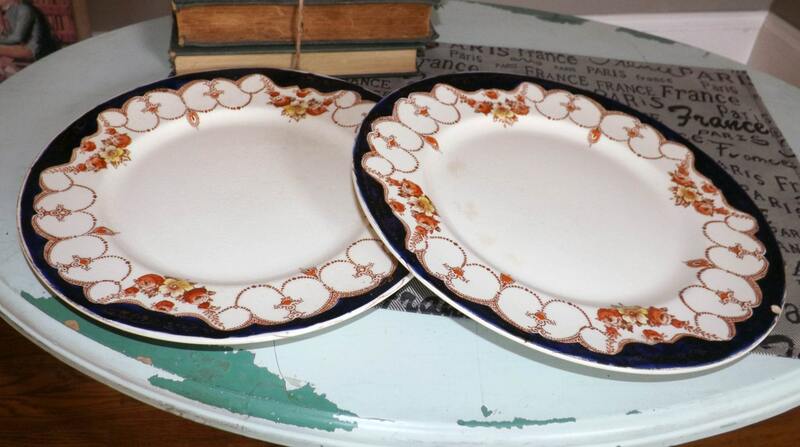 Pair of quite vintage (1930s) Myott & Sons | Myott Rosemary Smooth pattern 7837 dinner plates. Rosemary is an ornate pattern featuring hand-painted cobalt and gold punctuated with a rust and yellow florals, gold filigree and scrolls and art-deco inspired urns and swags with a smooth, gold edge. In GOOD! 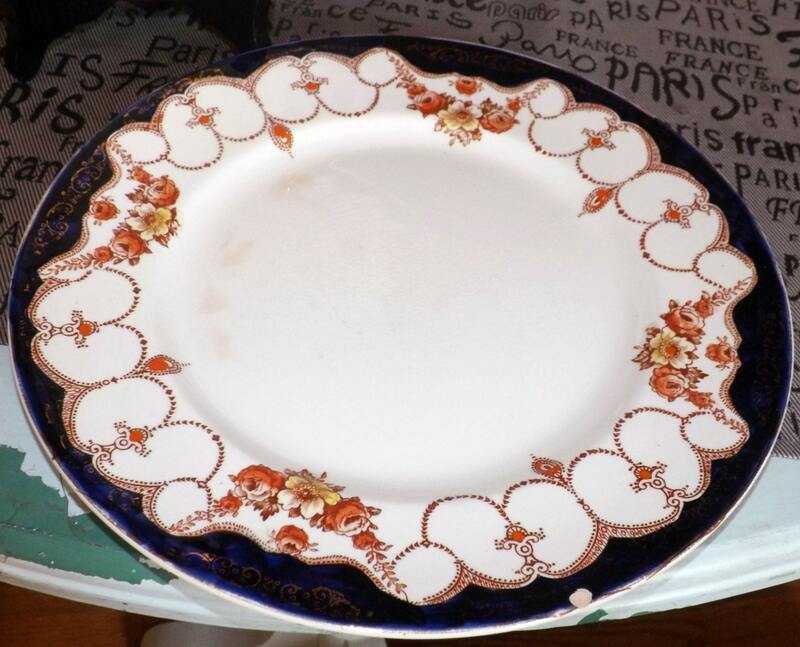 vintage condition, one of the plates has a chip to the edge and both plates show age-appropriate crazing and MODERATE! 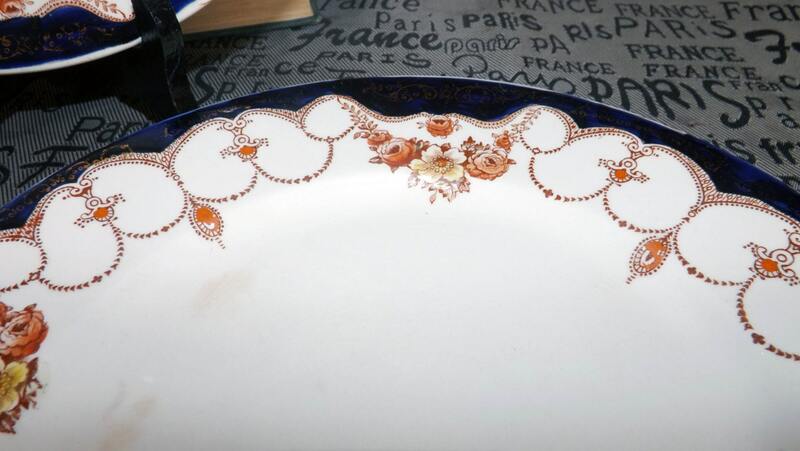 browning through the glaze (please review each of the posted photos for a complete visual of the items). The hand-painted art-deco florals, urns and swags are bright and vivid with LITTLE TO NO! fading apparent. 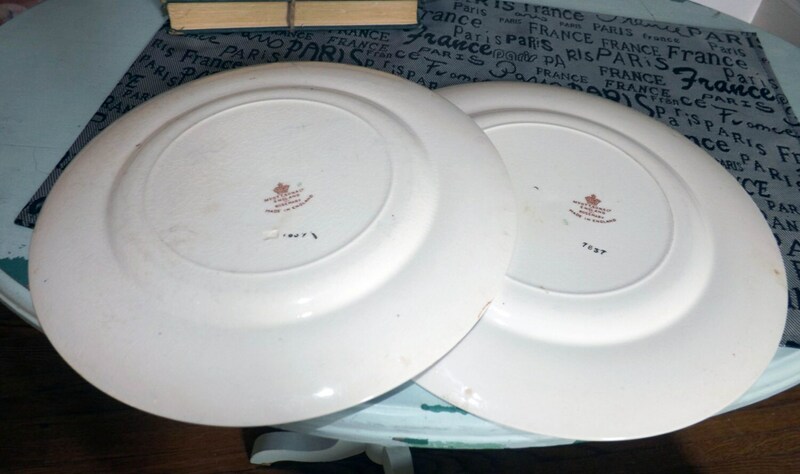 Plates bear both the Myott impressed mark and stamped mark for the period to the reverse. Approximate measurements: 10" in diameter with a smooth, gold edge.